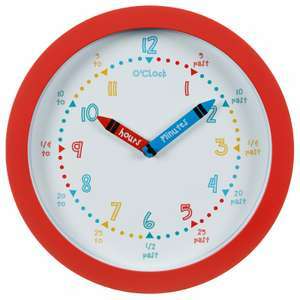 Great idea at a low price for anyone who is learning time! yes :) Extracted from a review *'The display is sharp with brightness adjustable in six stages both in 'on' and standby mode. 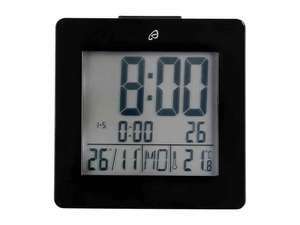 In standby mode you have a choice of large analogue clock or digital clock with day and date'. 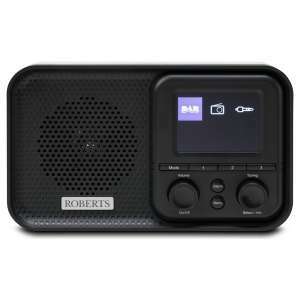 has an excellent display clock, although if you use the radio it disappears. Does it have a display clock? Would look good in my desk, working or not. Thanks. I really like things like this. Much appreciated. Is the Philips a lot better than the unbranded ones? Aldi and home bargains got some got like £10-15? Yes, I do have a type of alarm to wake me up in the morning. So, just to be clear. Do you use an alarm of any kind, be it a clock or your phone or anything else in a morning? No, I presumed other people don't use alarm clocks anymore. I never said that I don't use one. However, you are quite perceptive. “...do people even use alarm clocks anymore? I mean your mobile phone can surely be used and customised for an alarm.” You insinuate that you don’t use an alarm clock, suggesting in that case you don’t need one. You need to read what you post. What a silly billy. Part of Amazon Warehouse Deals, 20 % discount added at checkout, Currently £108 at Amazon UK, Price quoted includes delivery, can be had cheaper using a fee free card. Won't this come with an EU plug? Or will it have a UK plug too? Just a comment for Philips Hue users: there is a feature for a gradual brightness increase with the white ambiance bulb (or colour). If you use this already then it's much cheaper than this alone. Never miss a 'Clock' deal again! I'm not saying don't buy - all im saying is this is no different from any other no name brand. In fact it is either the exact same or very similar to anything like a sainsbury or tescos or argos or pcworld labelled basic product. Whether it is a good price is up to you. So we don't buy Akai, Alba, Bush, Goodmans, Sharp, Technika and Tevion, as well as Blaupunkt ....... just in case But then again, it has a 12 month warranty with Sainsburys. What do you want for £9? These are good if you run a B&amp;B. As a guest I find a radio with a USB outlet very handy. They really should block deceptive brand trading like this - it sounds German, it isn't. There is a difference between outsourcing a design, and just selling your name to the highest bidder. Echo Beach - far away in time on YouTube. Just seen it priced at £20 in Pinner, looks like national price too. We bought this last time it was on offer. God product and well worth £30, not sure if I would pay more though. Good sound quality too. Only problem is the screen can be a bit too bright at night, event on the lowest setting. Either you live with that or go with the option to switch the screen off altogether. Looks like they have been playing football with the box. Reduced in Sainsburys Morecambe from £35 down to £10. About 3 left on shelf at the time. Much like JVC, Hitachi, Sharp, Toshiba et al (TVs anyway). A decent little clock radio, picked one up last week. Does a job and is loud enough to wake you. Also has a usb port on the back to charge devices. That may be true although it's just a name with little bearing on their heritage, like many brand names I guess, valuable as a name, irrelevant as an actual company that makes things. Setup was slightly fiddly at first needed the instructions to do the initial DAB scan. Brightness very good has 3 settings. Volume is decent. Station presets are easy enough to do. For £11 you can't go wrong. Hi, when you've had a chance to have a play would you mind letting me know your thoughts please? Is it easy to use? My mum's in the market for a new clock radio but finds the displays are often too bright at night, so if this can be dimmed well I might see if I can track one down for her. Many thanks. Bought this in Sainsbury's Farnborough yesterday was priced at £30 but when staffed verified price they said it was coming up at £11. 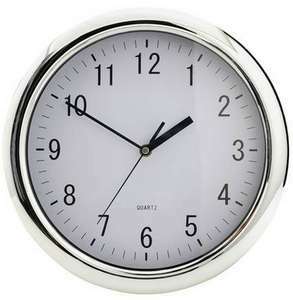 Goodmans Wake Up Light Sunrise Alarm Clock - £5 @ B&M Ashford KENT Plenty still in stock on shelf. Discount not well displayed so people probably not noticing. How long does this lamp charge once? What is the number of times the battery can be charged? The reviews don't correspond with the item ? Do you think this would be the item you'd be purchasing ?? Brilliant. Worked perfectly. Thanks for posting. Any Radio Controlled timepieces gets heat from me, especially at this price. In the 21st Century, bog standard quartz movement by itself doesn't cut the mustard anymore. It's got to be Radio Controlled or GPS controlled. What a great deal &amp; I love the Benefit Range! Thanks very much for sharing. Heat from me.